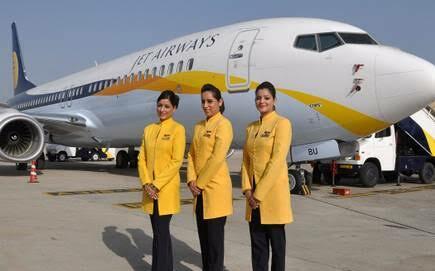 In a few hrs from now Jet Airways will fly its last flight (April 17th – 10.30 PM). The era of a great airline which set high standards for the Indian aviation industry will finally come to an end. Hopefully a temporary one. I have fond memories of Jet Airways. it has been my favourite airline for almost 25 years. My corporate career from 1992 and the growth of Jet mirrored each other. In the last 25 years I would have taken over 2500 flights in India and Abroad. During these flights I was treated well, got decent food, was upgraded many a time and almost always got my priority aisle seat near the emergency exit or the first row. I recollect in the mid 90’s when even a cost conscious company like Wipro made an exception allowing employees to fly Jet even if it was not the cheapest fare – because the service was excellent and the Chairman and Corporate head of HR enjoyed travelling Jet. Jet Privilege – The award winning frequent flyer program was excellent. The best in the country – and we have enjoyed many a free holiday thanks to the thousands of miles we accumulated. In the initial years it was easy to upgrade and almost all my Bangalore – Delhi flights I used my Vouchers or Upgrade points to fly in luxury. If you were a Jet Platinum customer your baggage would be on the belt as you walked out with almost no wait time. When I started flying to London every quarter – I skipped the direct BA flight from Bangalore and went all the way to Mumbai or Delhi to take the Jet Flight to London. It was worth it. The Business Class on Jet international was better than most International flights and I was often rewarded with an upgrade to 1st Class and many a time rubbed shoulders with Politicians and Fortune 100 CEO’s. For many years my Brown & Cream night suit was thanks to Jet Airways. From Day 1 Jet differentiated itself with the food it served. It was piping hot and fresh. The Food in Business Class was outstanding – selection, taste and aesthetics were 10/10. I remember a presentation made by an International Strategy Consultant on Branding in 1998 – when he explained the concept of Brand Differentiators. He explained that all planes were Boeing or Airbus make but then some airlines were Air India, some were Singapore Airlines and finally some were Jet Airways. The differentiation was in service. In the early days Jet made India proud with its service. The golden era was till 2005 and then the IPO happened. I have observed that most companies start tumbling down after their IPO as the greed for quarterly profits accelerates. After that the airline slowly started going down hill. This accelerated with the disastrous acquisition of Sahara. The loyalists like us still stuck along with fond memories of the past. By 2012 – 2013 things started getting bad. The seats were jammed and there was hardly and leg space, food quality dropped the Rotis were half cooked and the Air Hostesses looked overworked and tired. The AC would start only after you boarded the flight. Getting an upgrade even with vouchers was a challenge. As Brand Indigo grew and the fare wars escalated Jet started struggling even more. Rather than hold fort as a full service airline and charge a premium Jet fell into the trap of retaining market share at any cost. It was a losing battle and slowly Jet lost its No 1 position to Indigo. With Etihad stake there was some hope and service levels did go up before Jet started its final descent a year back. Loyalist that I am – inspite of all the challenges I booked my Bangalore Amsterdam flight for my May holiday on Jet – KLM Codeshare in January. A few weeks back I realised that the last nails were being banged in the coffin and managed to cancel with a steep penalty and booked myself on Emirates. But I have no regrets – I see the cancellation penalty as a small fraction of the Upgrades and excellent service I have been provided over the years. A small cost to pay for the great times I have had over the years. Thank You Jet Airways and all the staff for a wonderful 25 years. As you make your last flight people of my generation will sigh and empathise with you. I sincerely hope you revive and get back to your golden days again. I completely echo your sentiments. I am and is a Jet fan. I would only take this all these years. Sad to see this go. I am hoping it will be revived. So heartening to see someone expressing gratitude while most of us express criticism. Yes, Jet has provided exceptional service and won many hearts. I feel for the staff who is passing through this tough phase. Hope we see Jet regain its dignity, trust and soar its wings with pride again soon. Thanks Vak for taking us down your memory lane and making us appreciate the good times.